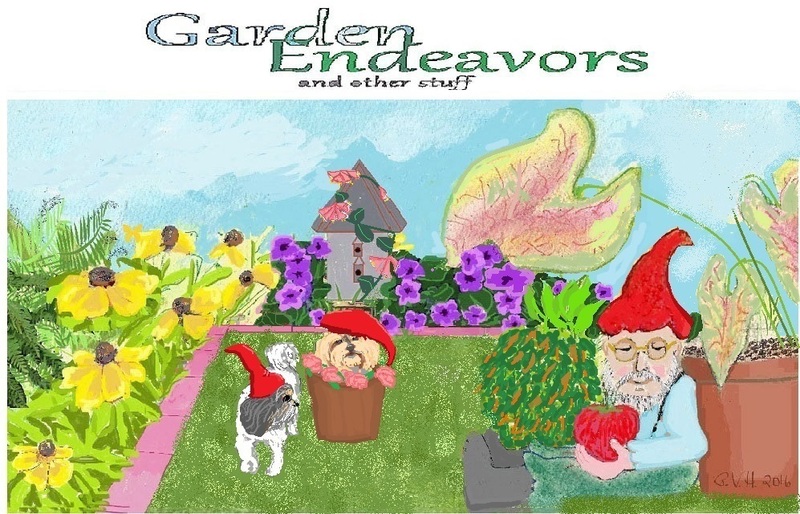 Garden Endeavors and other stuff: Have to grow every year. 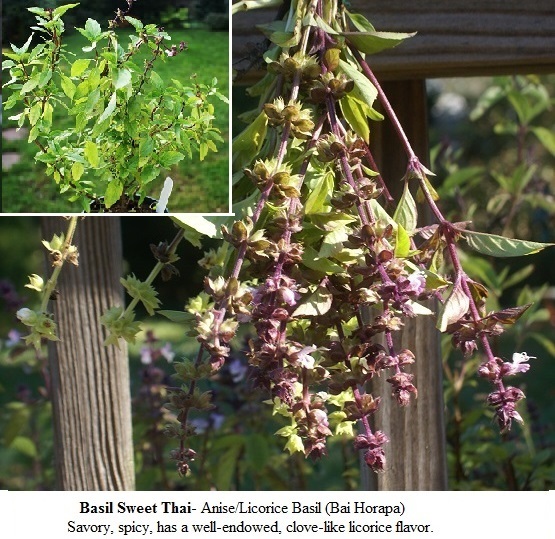 Thai Basil and Thai Peppers. Have to grow every year. Thai Basil and Thai Peppers. 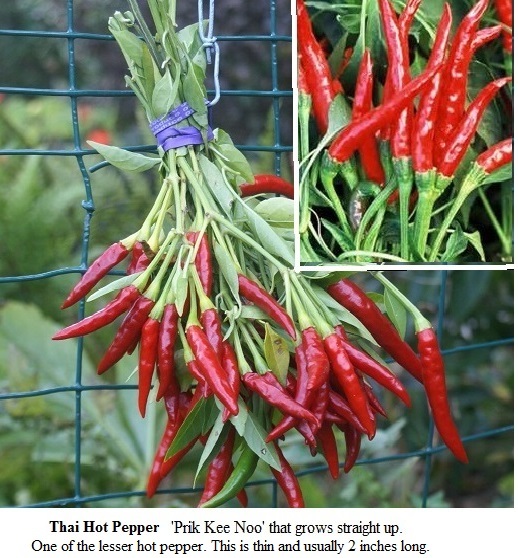 This is hot, but in my opinion the least hot of the 3 different Thai peppers that I've grown. Just for flavor (spicy), half of a fresh one is perfect for soups or stews. Last year husband grew them also so there was plenty to dry. there was enough to fill a large spice container. Husband loves to cook with it. Of course will be saving seeds. The leaves on this basil is the smallest of the basil that I've grown. to start indoors this March 2016. Use this basil in just about everything. Patsi girl I love that you guys grow such exotic plants for intense flavor .. I always mean to gather leaves from my anise hyssop and pineapple sage for teas .. I do gather my rosemary for stripping the needles off .. roast chicken is just not roast chicken without that. This year has been too awkward to get anything other than my rosemary done .. I swear next year for the others !! That Basil with anise/clove flavor has me totally intrigued .. I have never seen that here. I'm glad the baking soda is working ... and I know what you mean ,,, TOTALLY unfair about the "kids" hair growing much better than ours? LOL ... Sophie is shedding like crazy but Emma gets a lion cut so that helps out a lot ..
Great pictures ... keep you warm on a winter's day eh ? Patsi girl just send me an email .. look at my contact info for my email ... then I will try to find a picture of Emma in her lion cut !